Explain what judicial review is and trace its origins. List and comment on the three eras of varying Supreme Court influences on national policy. Explain what is meant by a dual court system and describe its effects on how cases are processed, decided, and appealed. List the various steps that cases go through to reach the Supreme Court and explain the considerations involved at each step. Discuss the dimensions of power exercised today by the Supreme Court and the opposing viewpoints on an activist Supreme Court. An independent judiciary with the power of judicial review—the power to decide the constitutionality of acts of Congress, the executive branch, and state governments—can be a potent political force. The judicial branch of the United States government has developed its power from the earliest days of the nation, when Marshall and Taney put the Supreme Court at the center of the most important issues of the time. From 1787 to 1865, the Supreme Court focused on the establishment of national supremacy. From 1865 to 1937, it struggled with defining the scope of the government’s power over the economy. In the present era, it has deliberated about personal liberties. It became easier for citizens and groups to gain access to the federal courts in the mid- to late twentieth century. This is the result of judges’ willingness to consider class action suits and amicus curiae briefs and to allow fee shifting. The lobbying efforts of interest groups also had a powerful effect. At the same time, the scope of the courts’ political influence has increasingly widened as various groups and interests have acquired access to the courts, as the judges have developed a more activist stance, and as Congress has passed more laws containing vague or equivocal language. Still, the Supreme Court controls its own workload and grants certiorari to a very small percentage of appellate cases. As a result, although the Supreme Court is the pinnacle of the federal judiciary, most decisions are made by the twelve circuit courts of appeals and the ninety-four federal district courts. a) Under what circumstances could the state governments regulate the economy? b) When could the federal government do so? The view that judges should discern the general principles underlying laws or the Constitution and apply them to modern circumstances. A written statement by an attorney that summarizes a case and the laws and rulings that support it. A case brought by someone to help him or her and all others who are similarly situated. A signed opinion in which one or more justices agree with the majority’s conclusion but for different reasons. A federal court authorized by Article III of the Constitution that keeps judges in office during good behavior and prevents their salaries from being reduced. They are the Supreme Court (created by the Constitution) and appellate and district courts created by Congress. Federal courts that hear appeals from district courts. No trials. A signed opinion in which one or more of the justices disagree with the majority view. The lowest federal courts; federal trials can be held only here. Cases involving citizens of different states who can bring suit in federal courts. A doctrine holding that state and federal authorities can prosecute the same person for the same conduct, each authority prosecuting under its own law. 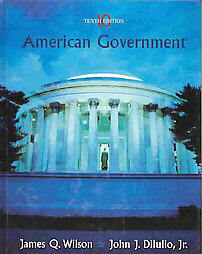 Cases concerning the Constitution, federal laws, or treaties. The power of courts to declare acts of the legislature and the executive unconstitutional. Courts created by Congress for specialized purposes whose judges do not enjoy the protections of Article III of the Constitution. An examination of the political ideology of a nominated judge. An signed opinion of a majority of the Supreme Court. A brief and unsigned court opinion. The party that initiates a lawsuit. An issue the Supreme Court will allow the executive and legislative branches to decide. A judicial order enforcing a right or redressing a wrong. The rule that a citizen cannot sue the government without the government’s consent. A legal rule stating who is authorized to start a lawsuit. ”Let the decision stand,” or allowing prior rulings to control the current case. The view that judges should decide cases strictly on the basis of the language of the laws and the Constitution. An order by a higher court directing a lower court to send up a case for review.